Happy Friday dolls! 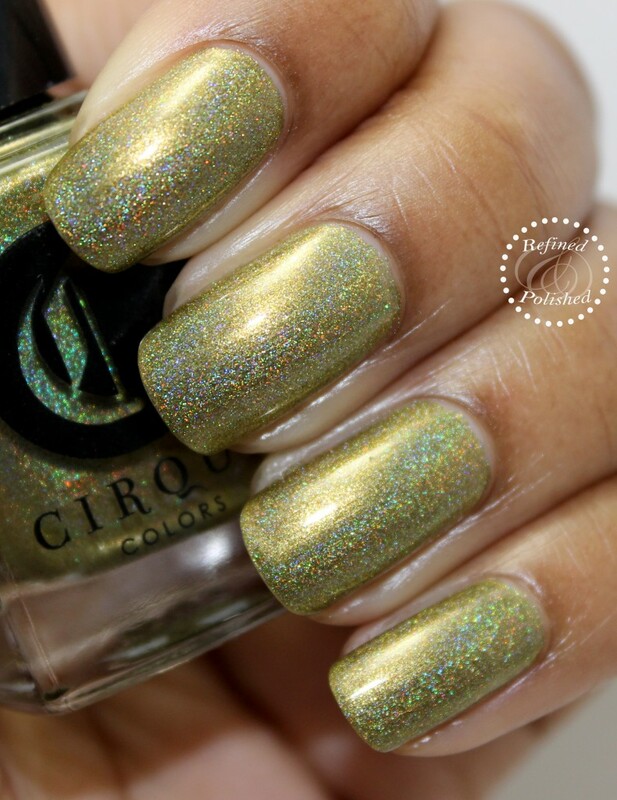 Today I have photos for you of the recently released Cirque Burlesque collection. It features four new linear holographic shades. The formula was exactly the same on each polish; they all had a great formula, applied effortlessly and were opaque in two coats. They were also nicely pigmented and self-leveled well. 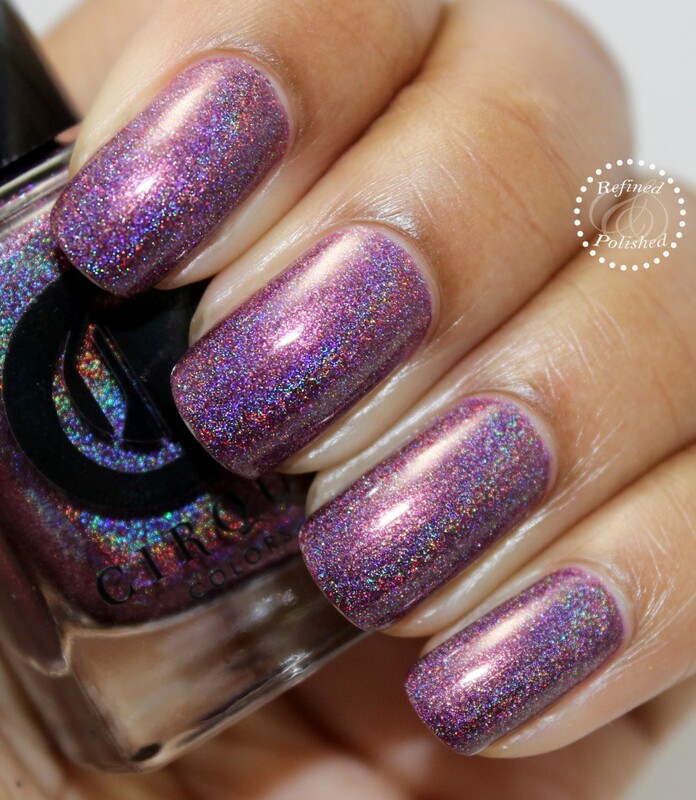 Cirque Boudoir is described as a vampy burgundy with a rainbow holographic finish. This shade was my favorite from the collection. The purple undertones were very strong on me. 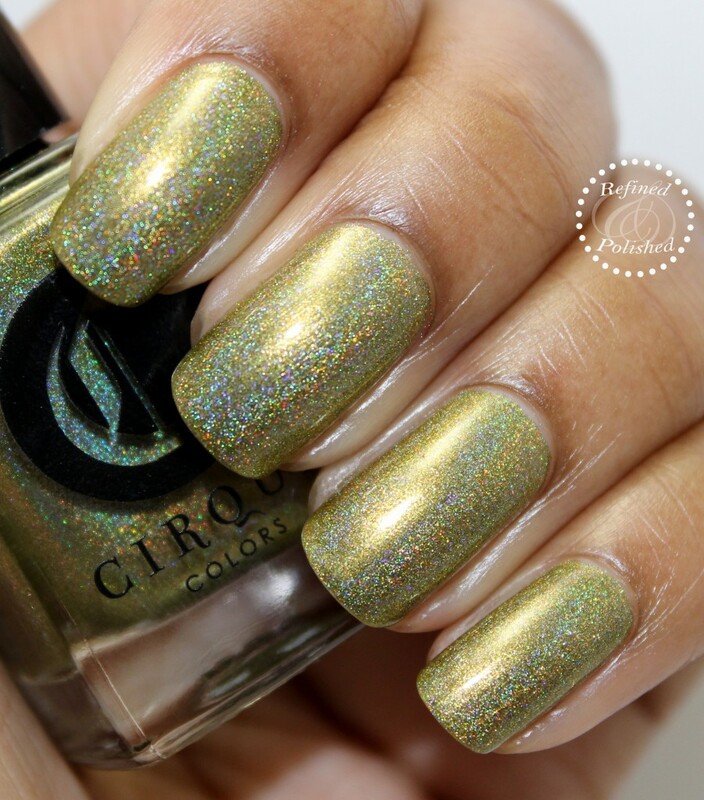 Cirque Harlow is described as an antique gold with a rainbow holographic finish. This shade pulls green on me, but I don’t mind at all. 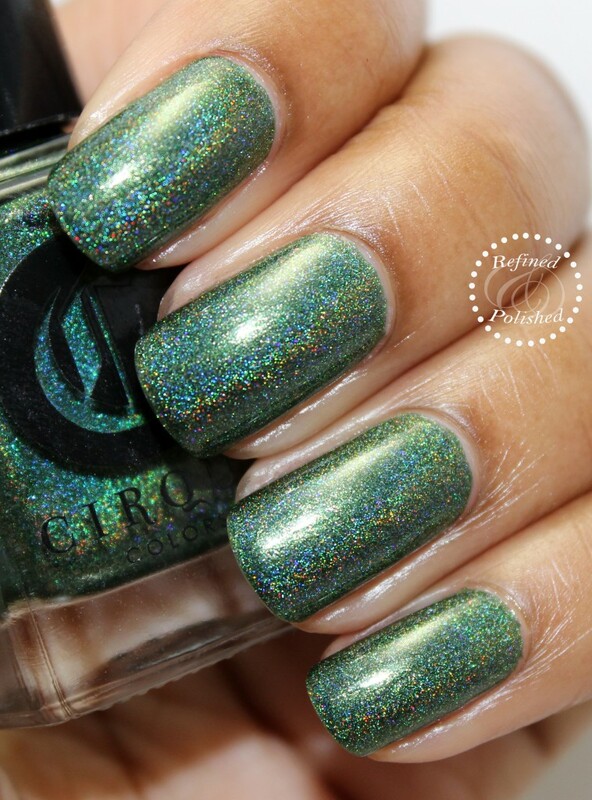 Cirque Josephine is described as a blackened green with a rainbow holographic finish. I feel like I don’t wear dark greens nearly enough, so I really enjoyed wearing this shade for four days last week. 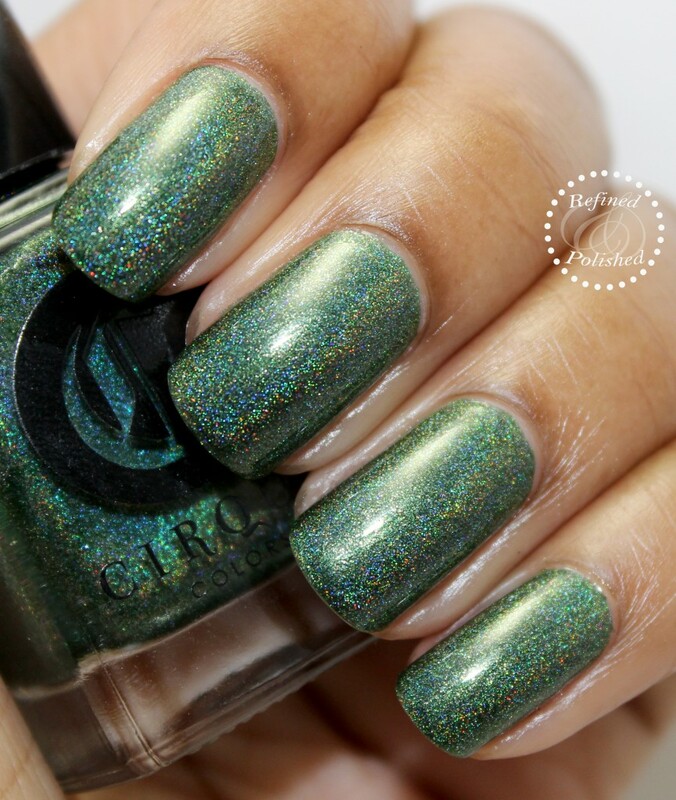 I experienced great wear time using the Cirque base and top coats. 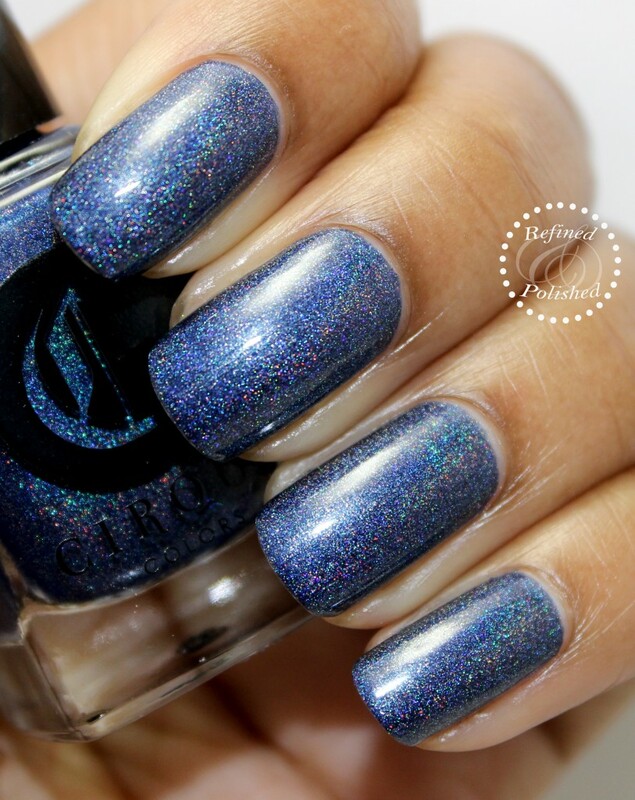 Cirque Trocadera is described as a navy blue with a rainbow holographic finish. This is the perfect dark denim blue. It’s a very flattering shade in my opinion. 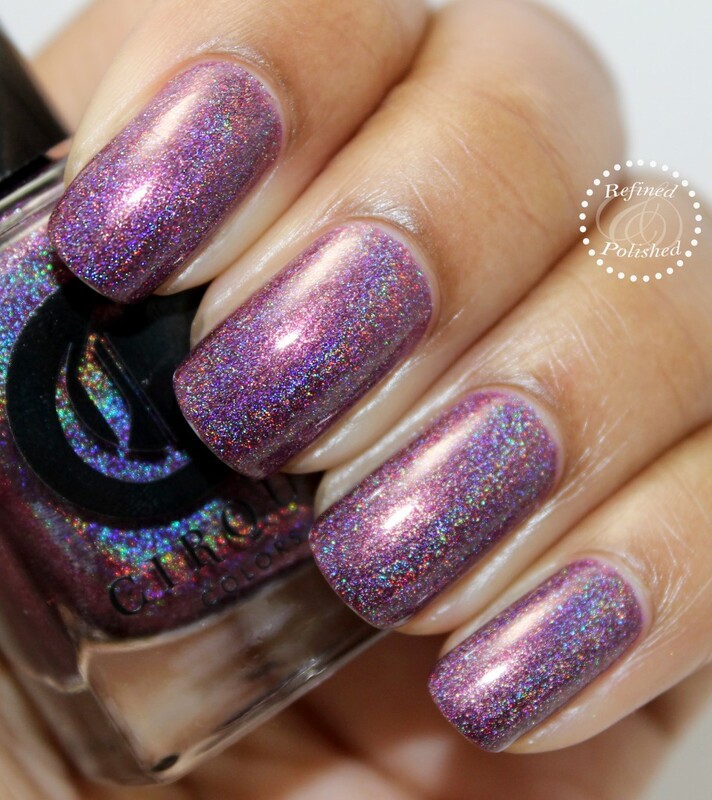 Fans of holographic polishes will appreciate this collection from Cirque because of the flawless formula and ease of application. 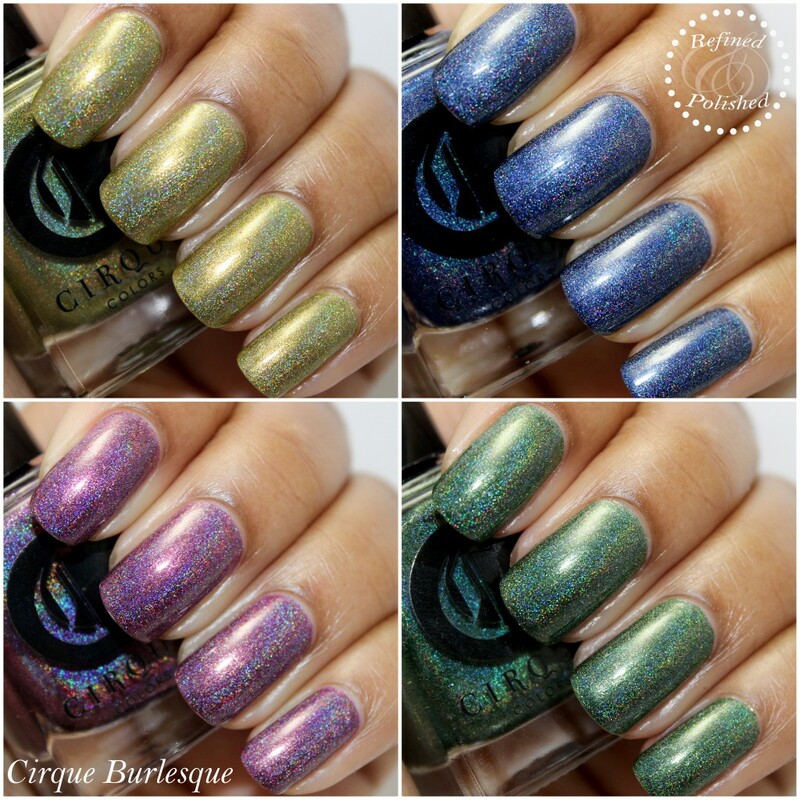 The Cirque Burlesque collection is available here for $13 each. 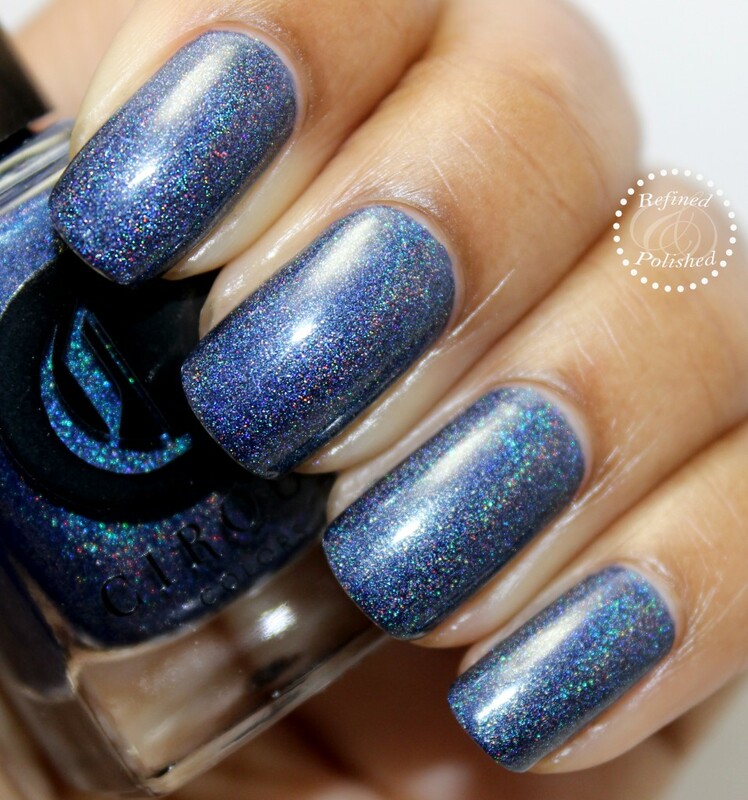 To find out where Cirque polishes are available locally, check the stockists page. Be sure to keep up with them on Facebook, Instagram, and Twitter for updates!